Sarah Lewis, Associate Architect – Sustainability has been named Best Woman in Environment and Sustainability at the European Women in Construction and Engineering Awards 2018! Sarah joined the Group in 2014 and made an immediate impact with her passion and drive for sustainable development. She is a Certified European Passivhaus designer and author of PHPP Illustrated: A Designers Guide to the Passive House Planning Package (second edition released in 2017) published by RIBA. Her exemplary knowledge has inspired the Group to fully embrace Passivhaus and the benefits it delivers. She was also project architect and Passivhaus consultant for the multi-award winning Carrowbreck Meadow development. This landmark scheme for Broadland Growth Ltd (BGL), a joint venture between Broadland District Council and NPS Group, sets a high benchmark and will have a lasting influence on the delivery of sustainable housing in the UK. 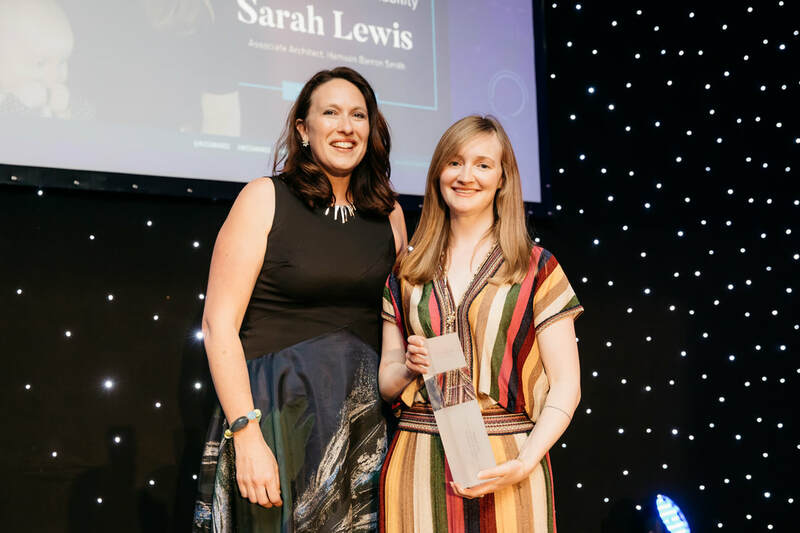 Jon Greenfield, Director of Hamson Barron Smith, who nominated Sarah for the award, said: “Sarah is a talented and passionate architect whose work has already made a huge impact on her colleagues, the company and the industry. Her in-depth knowledge of building science, the realities and challenges of construction and empathy for the end user are truly impressive. Women represent only 11% of the construction workforce in the UK and most of these jobs are office based and only 2% work in manual jobs. When it comes to women in engineering only 9 per cent of UK engineering professionals are women, 18 per cent in Spain, 26 per cent in Sweden and 20 per cent in Italy. The aim of the awards is to make these industries more enticing to women; to create role models for women considering a career in these sectors, while encouraging companies to employ and train more women in these industries.